Form: Some of the earlier Egyptian conventions of depiction (the "memory image and composite view) are not followed in this image. 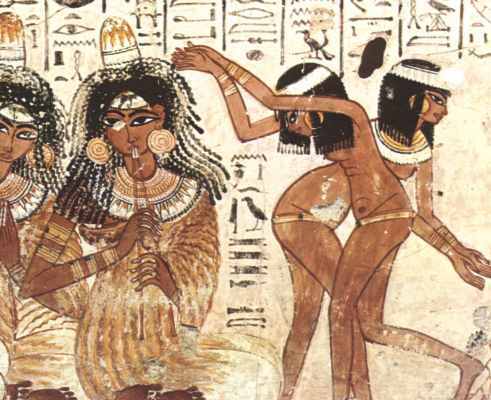 Although the two women on the left have been portrayed in a classic manner, the middle two are shown in a very unusual frontal and naturalistic position. In the depiction of the figures arms is a bit of an attempt to show foreshortening of the limbs. As their arms project into the foreground they become shorter to create the illusion of space. 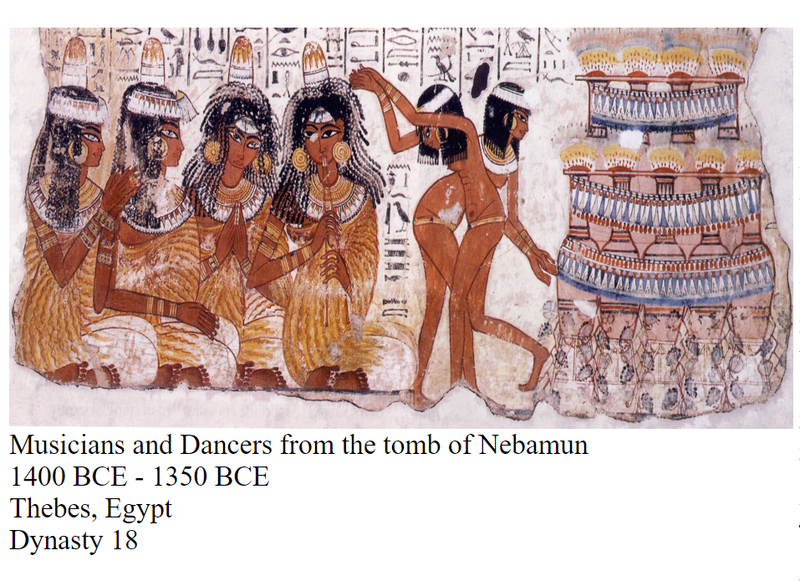 The two figures to the far right are overlapping also creating a slight illusion of space. 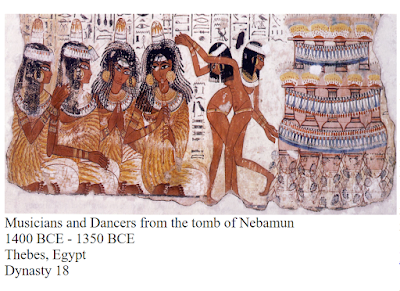 Iconography and Context: These dancing girls were probably meant as entertainment for Nebamun in his afterlife and were not very high in the cultures hierarchy. 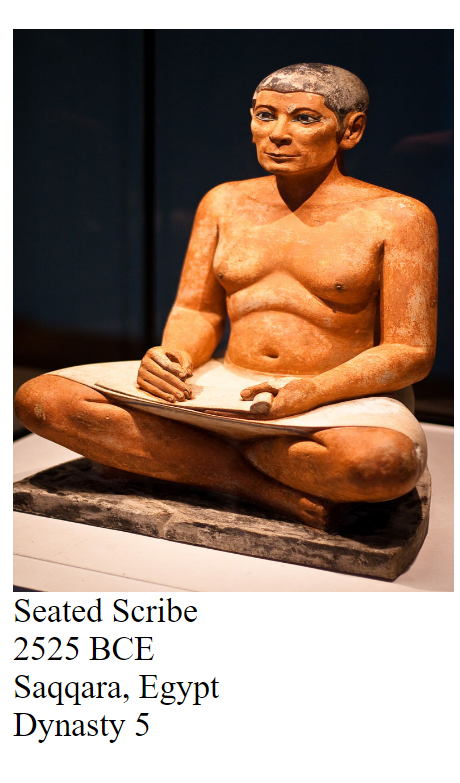 The break from tradition in depicting these figures could represent the influence of Akhenaton's reign on Egyptian art but these distortions are most likely due to the relaxation of rules governing the depictions of lesser known or less important individuals as in the depiction of the Seated Scribe 2525 BCE from Saqqara, Egypt.